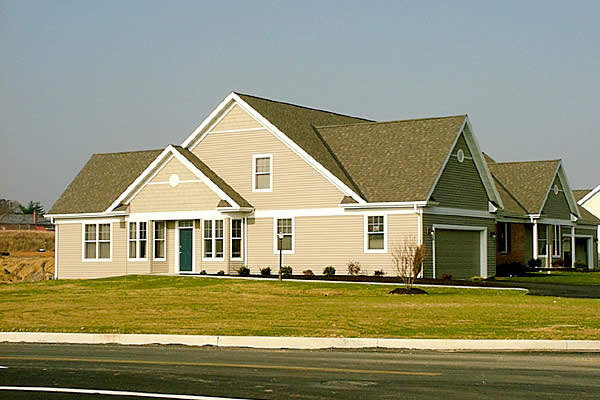 To design upscale senior living homes for this inviting subdivision of the growing Homestead Village community, we focused on providing a sense of individuality. By developing three different floor plans, combined in a variety of ways, we created unique residences using modular designs. 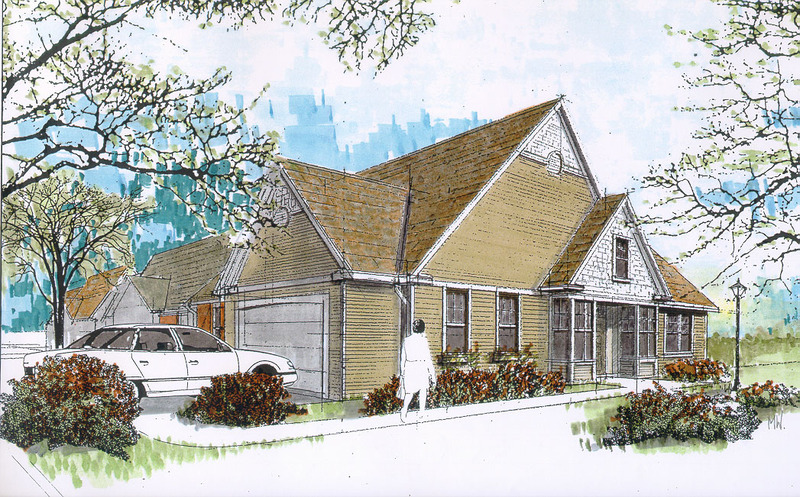 Each of the 92 unit plans can be customized with a sunroom, garages, as well as many interior options. The homes are clustered around man-made ponds and accessed by tree-lined streets and walking paths. This end unit with a side entrance offers panoramic views through its many windows, including the bay window, common to all Mews homes. Featuring a second-floor option, it includes many details and finishes customized by the first-time residents. The cottage style and exterior finish materials and details result in a design with wide appeal. To the right of this end unit, the one-story home features brick accent walls similar to the cottage neighborhood at Homestead Village. This offers uniformity throughout the campus, even though each neighborhood is distinctive. 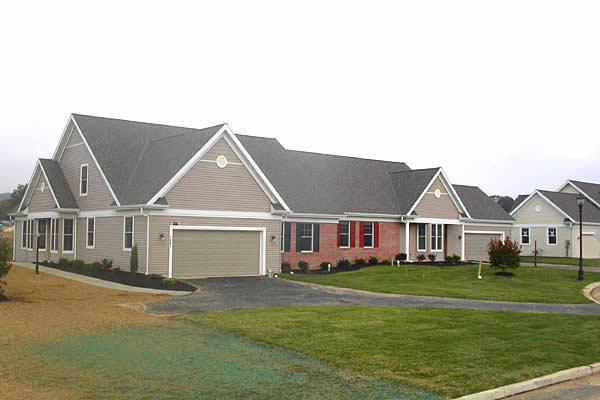 Drawing homebuyers from across the country, Homestead Village features a variety of living options. The Mews is the only neighborhood at Homestead Village offering two-car garages. 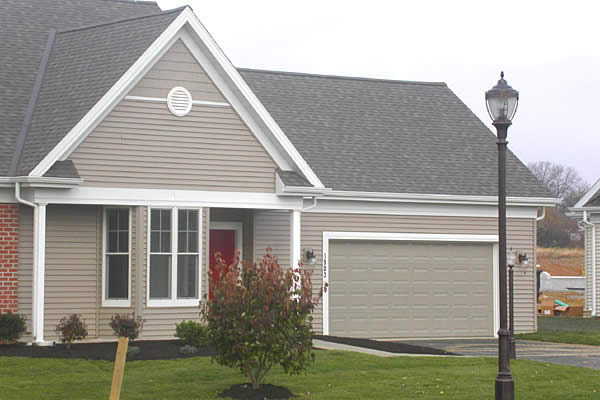 Neutral exterior wall colors and white trim is a common residential color scheme on the east coast.